Jay Rox is one of the most consistent Zambian artistes when it comes to releasing quality music. His 4th album Outside the Rox 2 is no exception. It is a follow up to his critically acclaimed second album Outside the Rox. 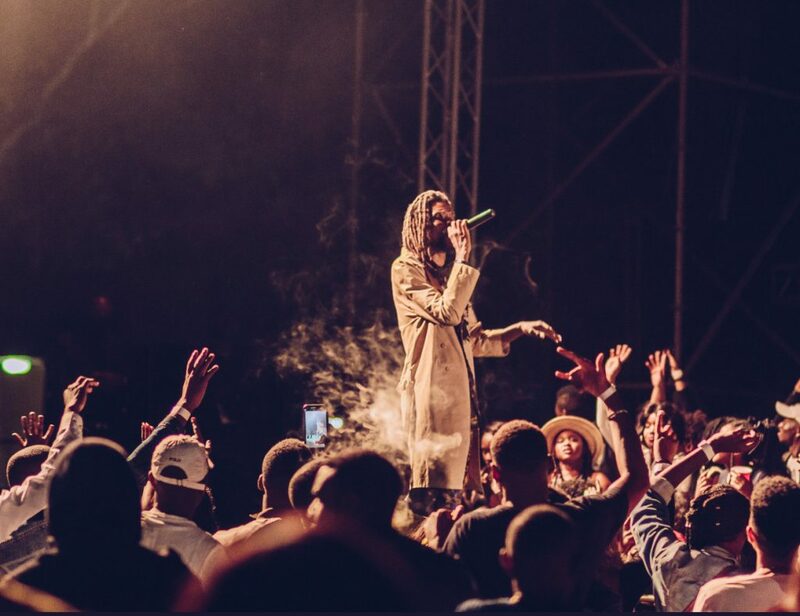 Going against his usual practice, Jay Rox did not release any songs from the album prior to its official release date , wanting his fans to experience the album as a whole. Outside the Rox 2 shows tremendous growth by the hiphop/dance hall artiste. The lyrical content is very positive and uplifting covering various topics affecting the society. The album is dedicated to the youth and has Jay Rox giving fatherly advice through out to the album. The majority of the production was handled by Jay Rox himself ,other producers include Geo, Shinko Beats and Tym G. The album has a mixture of mid-tempo hiphop beats and dancehall vibes. Unlike his previous album ‘Lusaka‘, which had no guest appearances, ‘Outside the Rox 2‘ features a good mix of local and international features. Among them are Catctus Agony , Wezi , Ammara Brown (Zimbabawe), Stone bwoy (Ghana) ,Orezi (Nigeria). A stand out collaboration on the album is with folk singer Mumba Yachi on the powerful song ‘Umwela’. Mumba Yachi’s vocals were mesmerizing and gelled brilliantly with strong verses from Mr Rox. Jay Rox is at his best when he puts his heart on his sleeve ,and raps about his personal feelings and experiences. An example of this is the song Time Therapy. “i have so much to lose if i dont try to introduce new things in my life” , he sings. In this song he talks about his relationship with his father as while touching on topics such as forgiveness, regret, and holding grudges against those who has wronged you in the past. Operation is a nice laid-back track. It is a type of song you can put on repeat and just relax to. It also has a good message. It talks about cutting out bad traits from ones personality. Another song to look out for is ‘Pins and needles’. This sweet song is a celebration of his two children. Sarafina They can be seen as a follow up to his hit single “Not for sello” off the album ‘Outside the Rox’. It talks about a woman knowing her worth in a relationship. “…she’s singing a song of freedom like Sarafina” he sings. ‘Find Love’ and ‘Catwalk’ are also songs that uplift women. My personal favorite track on the album is ‘Under the sun. – “…they say eyes never have their fill of seeing, but then i saw you”. This is an amazing love song in which he tells his significant other how much her. The song features talented song bird Wezi , who adds her angelic vocals to this beautiful song. Outside the Rox 2 also has song for the dance floor such as ; Burn it up ,Slow down, Dutty call and his current single Bag Dem. All of the aforementioned have dancehall inspired beats. 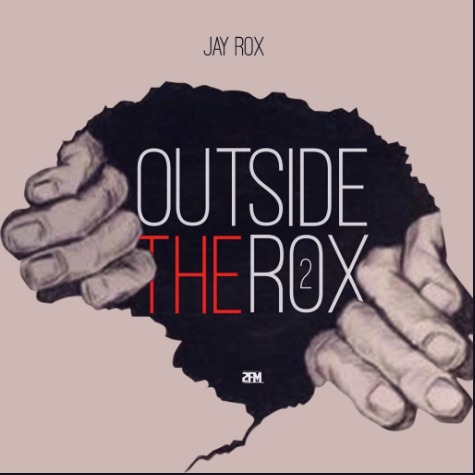 Outside the Rox 2 is arguable Jay Rox’s best body of work to date. The album shows that he has grown immensely as an artiste. With this album he is able uplift , motivate as well as make people dance. It is a very enjoyable album that one can listen to from start to finish many times over, finding new favorites every time.